This is my sister's family. My sister and I have always lived too far apart to be there for the birth of each other's children. Until now!! With my move to AZ, I was able to be there the day her beautiful twins were born. It wasn't an easy ride for my sister though. 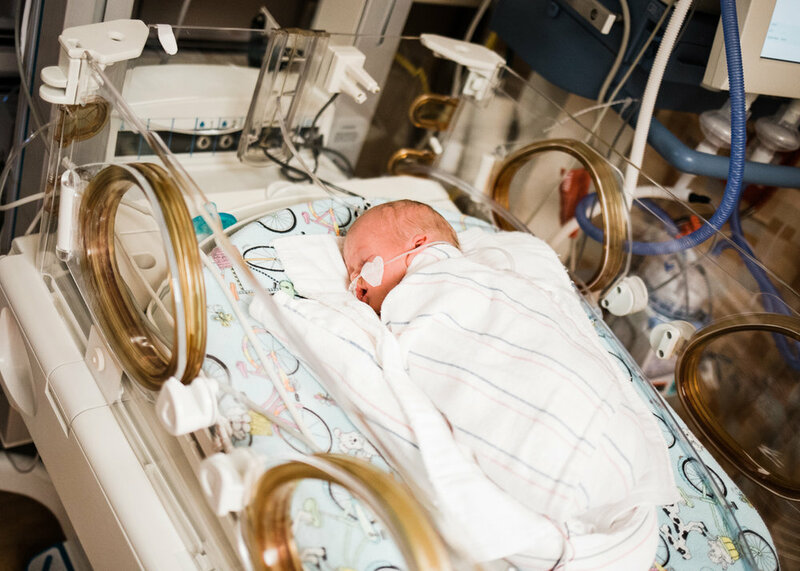 She had preeclampsia so the twins were delivered about a month early. And then she felt pretty awful after. Guys, I'm sure you all know, but most births are not done with lovely makeup and silky robes. Often the cute robes and makeup don't come on the day after, or even week after. 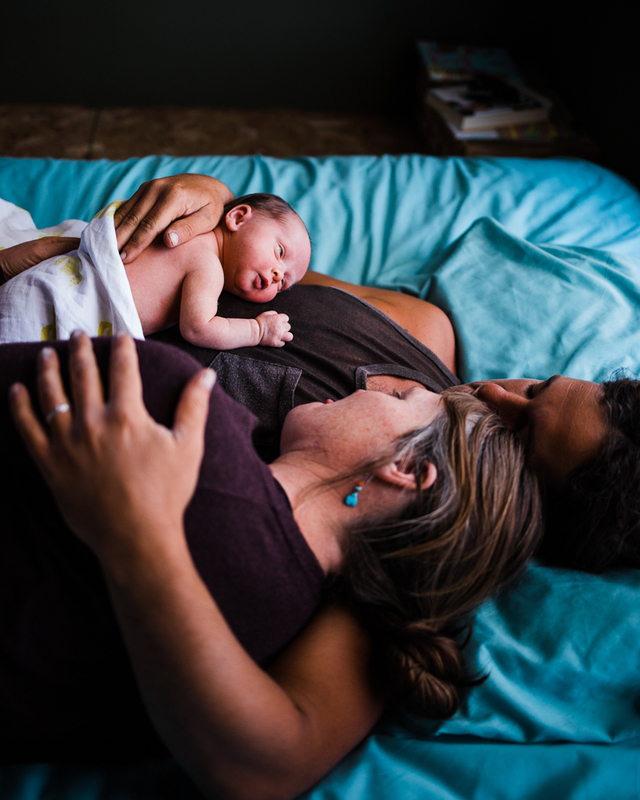 But this doesn't mean documenting those first moments with your newborn isn't possible. Watch this little film for a great example of this. 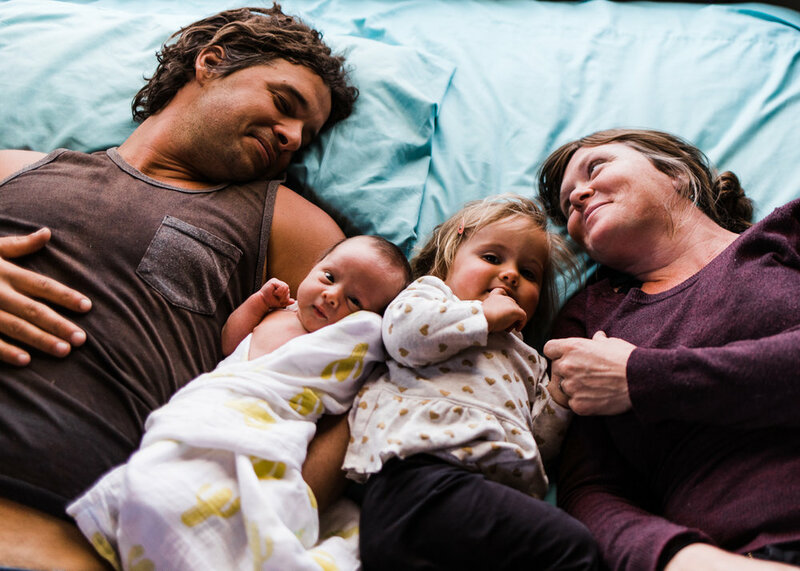 I returned a month later to film her entire family, and the moments are just as magical. 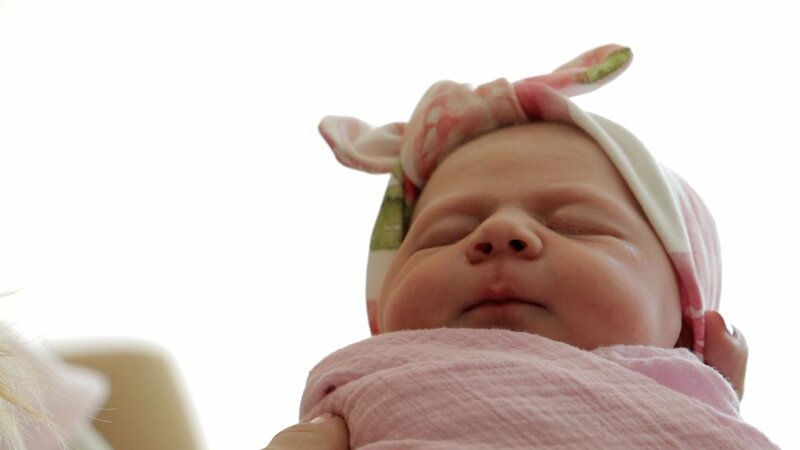 There are so many ways to do a newborn/birth film, so do not worry if labor and delivery doesn't go how you imagined. This session brought me so much joy. They were lovers and cuddlers and just the sweetest people I could ever hope to spend my morning with. Little Jesse was 10 days old when I came over to film. I loved seeing how the family had adapted to being a family of 4 and watching them in their new routine. I was impressed with how productive they had already been. This family lives in a rural area outside of Moab. They built everything they have. Everything! Since Jesse was born, Dad had built a playground for big sister, and Mom had been out digging a new fire pit. This morning filled me with peace and helped me remember what really matters. Preview film below, full film above. 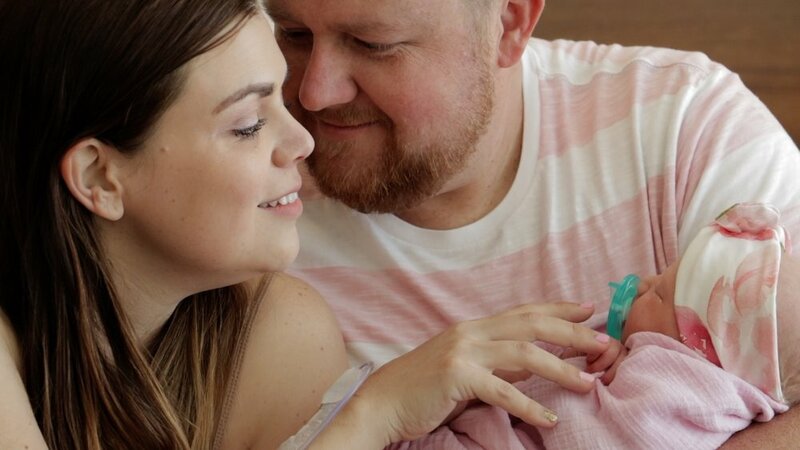 This film is a great reminder that even if you don't have your newborn video filmed in the hospital, this time is just as precious from home. 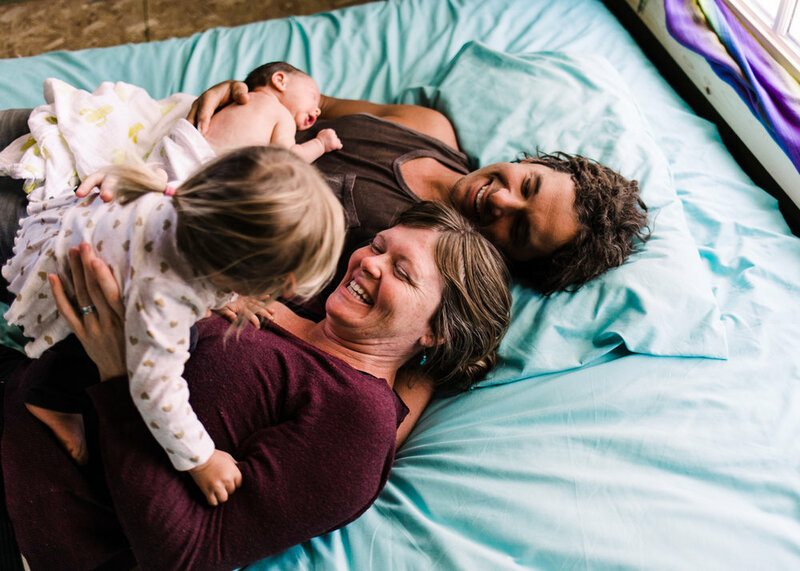 I don't think there is a bad place or time to film a family in love with their new baby. Angela is one of the coolest women on the planet. Three days before she gave birth, we were at the park and she was doing pushups. We go way back. Our husbands were roommates in college. My husband set the two of them up on their first date. We ended up in Moab a few years after them. We have kids the exact same ages (until now!!). We both have a craving for adventure/physically exhausting fun. A few of my favorites include riding the White Rim in day, summiting the Grand Teton in a day, and backpacking the Grand Canyon (in 2 days). We are pros at cramming in as much fun as possible into short increments of time. We know the exact amount of time it takes to mountain bike or trail run a large majoirty of the trails around here, making it possible to squeeze in adventure during preschool or before work. Angela is also a fantastic photographer. Check her out at Angela Hays Photography. Anyway- lets get to the point. Two weeks ago, Angela had a baby in the middle of the night. 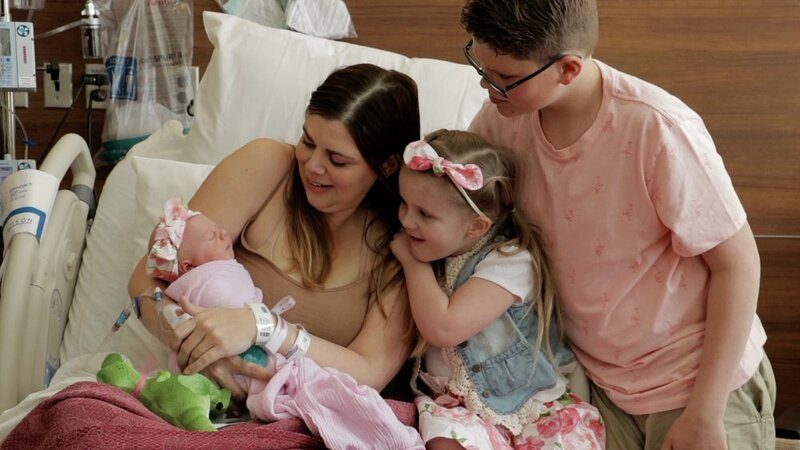 Eight hours later, I drove to the hospital to film this beautiful bundle of joy and to capture three sisters meeting little Ms. Bridgette for the first time. I cried at least 3 times in that hospital room, and then multiple times again as I edited. There is nothing like the love and joy a newborn brings to a family. I got to snuggle with this little sweetie before I started filming her. I love how newborns are so curled up and how they startle and squirm. They just feel the best in your arms. Their home was bursting with love. Family had traveled all the way from Michigan and Colorado to meet her. 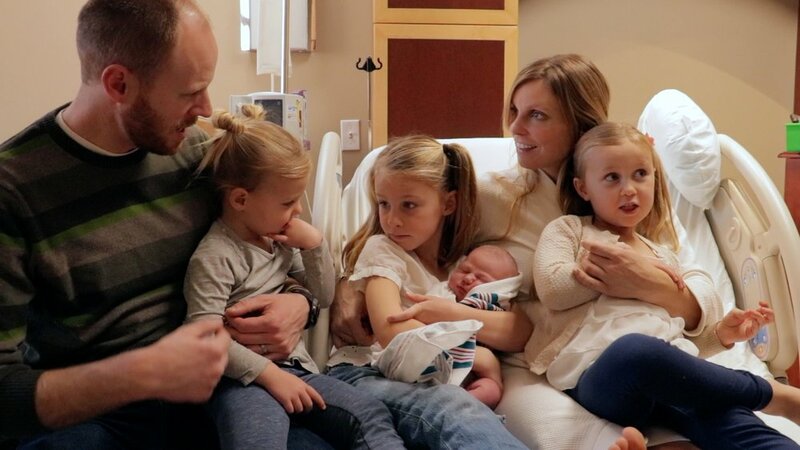 I am so excited that this video not only captures Clara and her parents, but her siblings, her aunt and uncle, and her grandmother. This little film will become a family history treasure as the years go on, and this is why I love doing what I do. On October 8th, I received a text from Karlie at 7:35 am that said: "Hey Leslie! I know this is last minute, but I wanted to see what you were doing around 8. I just had our little baby! They haven't weighed him yet or anything, he's just been sleeping on my chest since he arrived. Do you think you can come?" 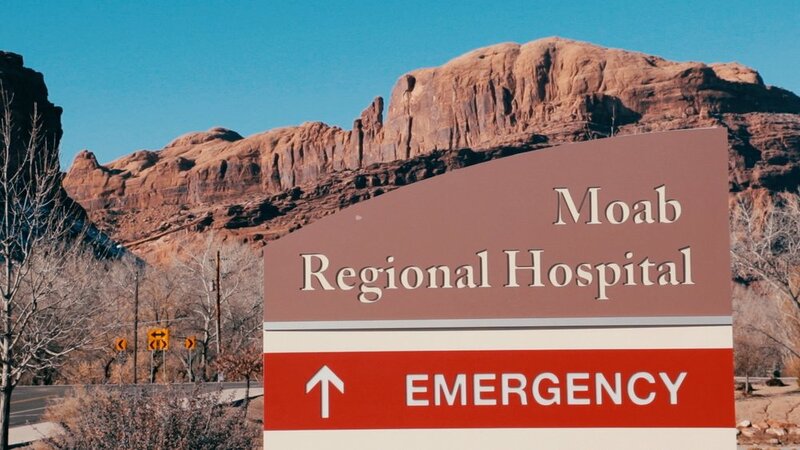 I jumped in my car as quickly as I could and drove the full 1.5 minutes to Moab Regional Hospital. Hudson was born at 4:27 am, less than 4 hours before I got there. As I walked into their room, Karlie was still laying in the bed with little Hudson on her chest. 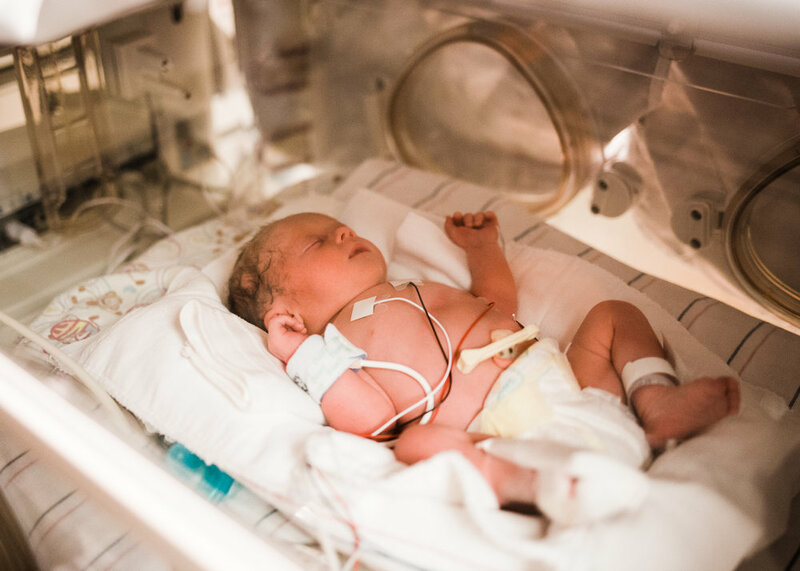 The nurses hadn't weighed or measured Hudson, nor had Karlie really even moved. It was such a beautiful sight, I started crying and then was a little embarrassed. For her first baby, Karlie's labor was fast. No time for an epidural, and the nurses and doctor said she was a warrior. 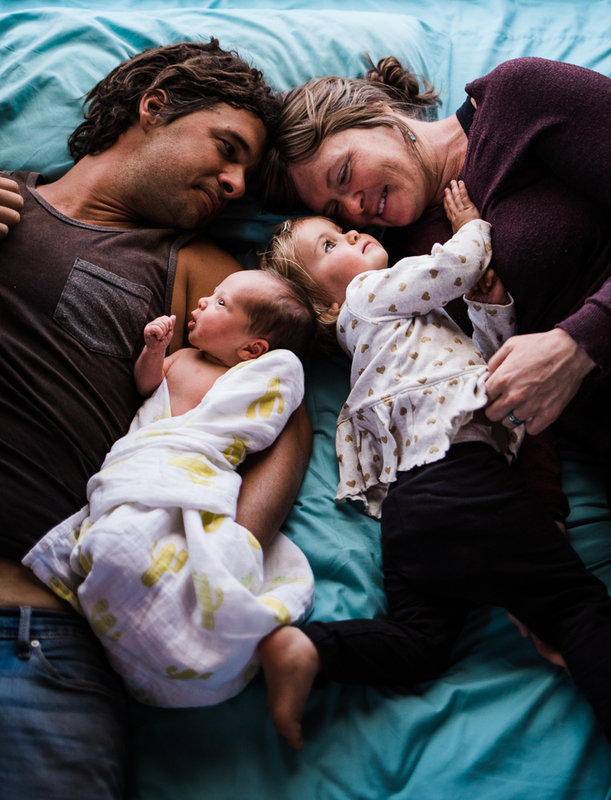 I spent two hours with Karlie, Jake, and Hudson and was able to capture some of their first moments together. Karlie and Jake were up most of the night, so of course they were tired but more so, they were radiating joy and excitement. I captured Jake holding Hudson for his very first time so Karlie could eat her well earned French toast. I captured one of his first sleepy newborn smiles. I also happened to be filming as Hudson opened his eyes for one of the first times. Jake guessed Hudson would be 7 lbs 7 oz, 21 inches, and when the nurse came in and weighed him Jake was 100% correct. Dad's intuition. I loved this project. 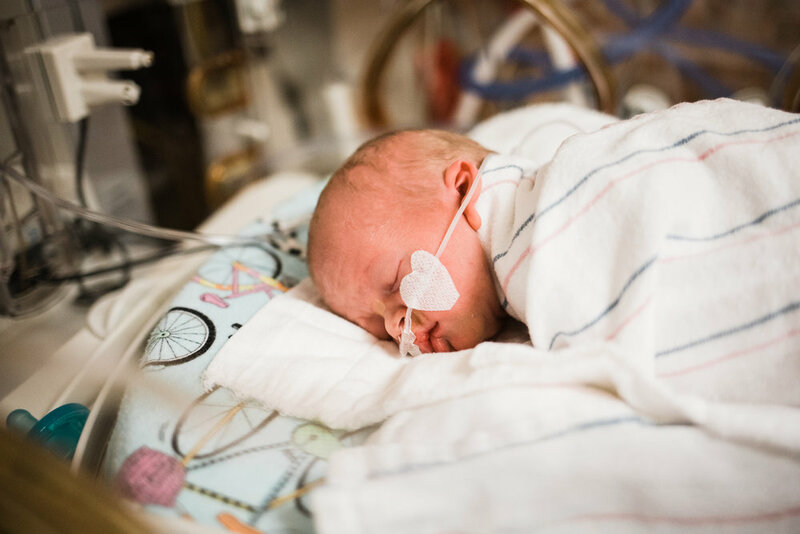 I treasure my memories in the hospital with my newborn babies. I have three children, and each time, I remember my heart absolutely bursting with joy and love. Love for my baby; love for my husband. And truthfully, joy that labor was over and that we were both ok, and that I could eat a giant meal. I am grateful that I able to be with this family at this intimate, incredible time, and I am grateful for the safe arrival of little Hudson. 4 girls, a baby boy, and two loving parents.